When it comes to giving, we want our investment to make a difference. But how do you find the most cost-effective charities? And what exactly makes a charity cost effective? This question was asked by Bruce Wydick, an economics professor at the University of San Francisco, in an article published by Christianity Today. 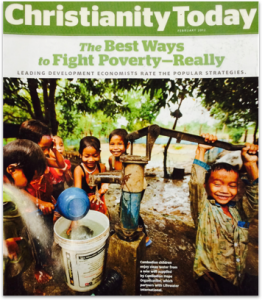 The results indicate that helping the rural poor get safe water is the #1 cost-effective method of improving lives, listing Lifewater as a leader in this effort (and featuring a photo of Lifewater’s work on the cover of the magazine). Human life is dependent on safe water. Communities without safe water experience a big jump in quality of life when safe water becomes available. Infant mortality rates decrease significantly. Water-borne diseases (medical costs and missed days of school/work) decrease. Hours of time can be saved each day for the women and children who collect water. 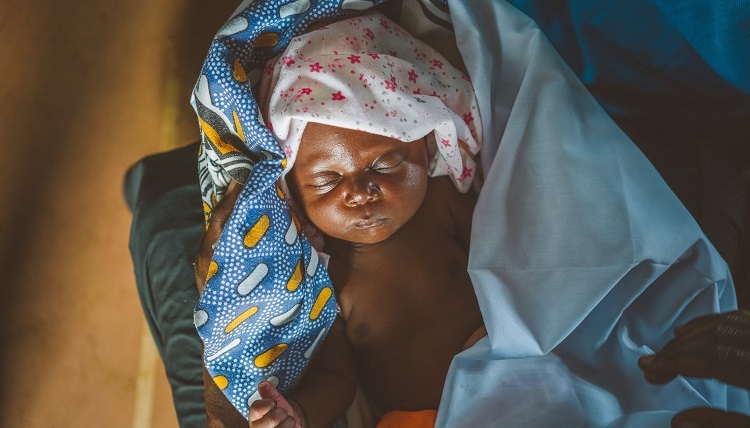 In addition to the lives saved, health improvements, and the ripple effects on education and poverty alleviation, providing safe water in rural villages carries another benefit that was not considered in the article: spiritual transformation. Lifewater is a Christian non-profit, and its work leads staff and partners to areas where the Gospel has not been shared. Globally, there is significant overlap between the people that don’t have access to safe water and those who are unengaged with the Gospel. When we talk about safe water as the most cost-effective way to compassionately serve the poor, it would be misleading to say that safe water alone has the greatest impact. Safe water, in conjunction with improved sanitation and healthy hygiene practices together (WASH) achieves the greatest impact. Lifewater provides safe water in the context of addressing the larger issues of healthy sanitation and hygiene habits as well. Helping the rural poor get safe water is the #1 cost-effective method of improving lives. It’s difficult to place specific metrics that compare the most cost-effective charities across categories. For-profit businesses measure profit in dollars, which can be measured objectively by common standards, both internally and externally. Measuring quality of life improvements is more difficult. Many factors go into improving a life, so it can be hard to isolate a change experienced because of a single variable. Also, non-profits and other ministries typically assess their own effectiveness, which is open to bias, even for the most well-intentioned evaluator. In claiming that providing safe water is the most cost-effective way to help the poor, Wydick cites a World Health Organization (WHO) study, which found that providing water to a rural village can result in a 35-50 percent reduction in infant mortality for about $10 per person per year (see more global statistics on the impact of WASH in rural villages in Lifewater’s WASH Report. Lifewater uses baseline surveys, mid-program monitoring, and post-program evaluations to see how behaviors, resources, and health have changed, household by household. You can see examples of these here. Lifewater returns to the villages for years after the WASH programs are complete to see if they are sustainable. Lifewater is also currently piloting new techniques in its field offices to measure more subjective changes, like spiritual improvements. The bottom line: the most cost-effective charities are making a lasting, measurable difference in people’s lives. Cost-effective compassion, efficiency, and return on investment are not effectively measured by the ratio of program to administrative costs, often referred to as “overhead.” While this ratio may serve to alert donors/investors to grossly inefficient practices, it is not helpful to assess a non-profit’s effectiveness by its overhead. A low overhead ratio sometimes indicates a poorly managed program. A more helpful question would be to ask how the money is spent to achieve the program’s desired outcome. Find better questions to ask in Lifewater’s whitepaper on how to identify high-quality WASH programs.